This year, only three Senators—Bernie Sanders, Kirsten Gillibrand, and Richard Durbin—got top scores from Food Policy Action for their votes on food and farm issues. This is down from the 29 who earned perfect scores in 2015. In the House, 79 representatives got perfect scores as opposed to 87 in 2015. The annual Scorecard ranks lawmakers on whether they support legislation on issues such as GMO labeling, hunger, fisheries management, food waste, pesticides, the EPA’s waters of the U.S. rule, among others. It’s disappointing that fewer legislators are getting top scores, since one of the purposes of this activity is to hold them accountable and encourage more liberal voting on food and farm issues. 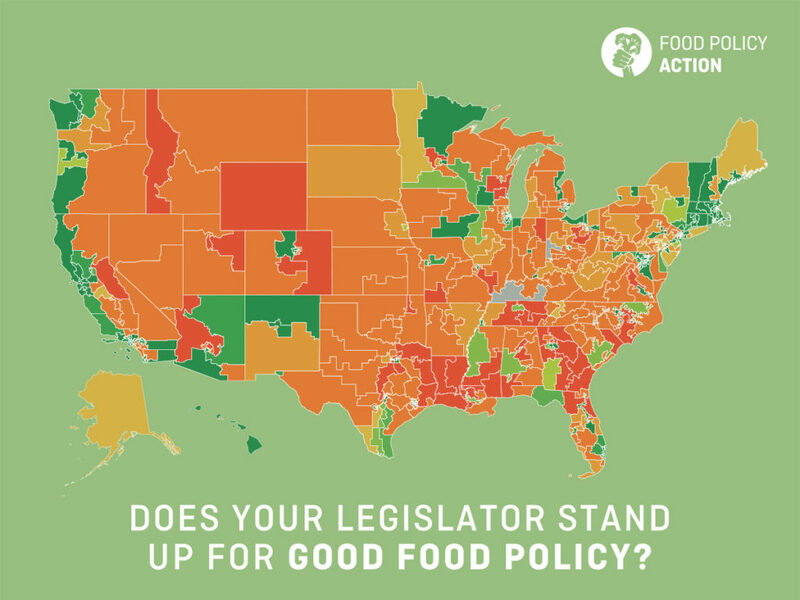 Food Policy Action announced the release of its second annual National Food Policy Scorecard last week, ranking members of the House and Senate on their votes on key food-related issues. promote policies that support healthy diets, reduce hunger at home and abroad, improve food access and affordability, uphold the rights and dignity of food and farm workers, increase transparency, improve public health, reduce the risk of food-borne illness, support local and regional food systems, protect and maintain sustainable fisheries, treat farm animals humanely and reduce the environmental impact of farming and food production. How? By holding legislators accountable for their foods on food and farming issues. Hence: The Food Policy Scorecard. I discussed the previous scorecard in December 2013. On this round, Food Policy Action awarded scores of 100 to 71 members of Congress – 54 in the House of Representatives, 17 in the Senate. It awarded scores of zero to 35 members. The website makes it easy to track your legislators’s votes. I looked at Senators from New York. This is a valuable tool for anyone who cares how politics works in America. Let’s hope it encourages citizens to hold their representatives accountable and legislators to think twice before voting against consumer-friendly food and farming bills. Washington is such a mess that you can’t tell the players without a scorecard, and this one is really useful. Food Policy Action to the rescue. Food Policy Action is a project of the Environmental Working Group. Ken Cook of EWG is its chair. Tom Colicchio is listed as the first board member. The 2013 National Food Policy Scorecard ranks each member of the Senate and House on their votes on food issues. The interactive map lets you click on a state and see how our congressional representatives are voting. 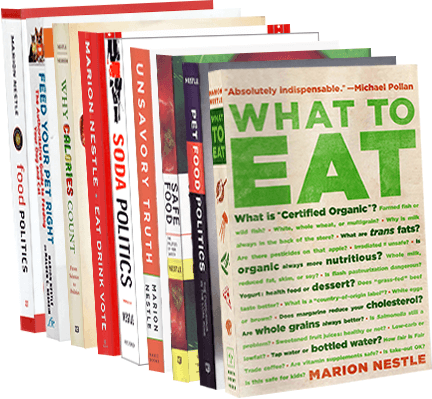 According to the scorecard, 87 members are Good Food Champions. We need more! I looked up New York. Senator Charles Schumer gets a perfect 100%. Yes! But Senator Kirsten Gillibrand only gets 67%. How come? Click on her name and the site lists her votes on key legislation. Oops. She voted against GMO labeling and against a key farm bill amendment on crop insurance. If you click on the button, you get to learn more about this vote and the legislation. This kind of information is hard to come by. Food Policy Action’s scorecard is easy to use and performs a terrific public service. Thanks to everyone responsible for it.